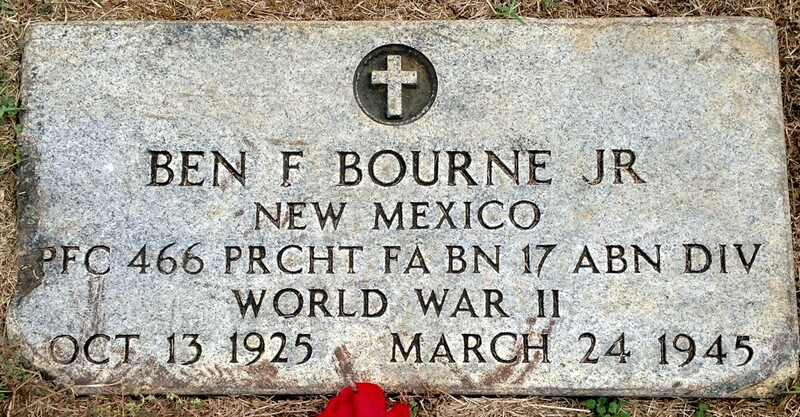 He was killed in action on March 24, 1945 in Germany, during the first hours of operation Varsity. 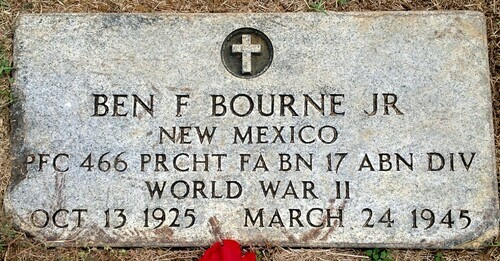 His body returned stateside in May 1949 and he his now permanently buried at Highland Cemetery, Durant, Bryan County, Oklahoma. 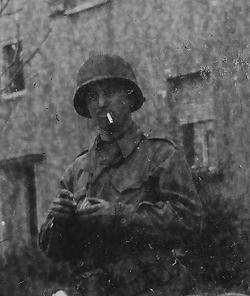 James F McWHORTER photographed on March 29, 1945, one day before he was killed in action during the battle for Munster, Germany (unpublished pic, TFH collection). 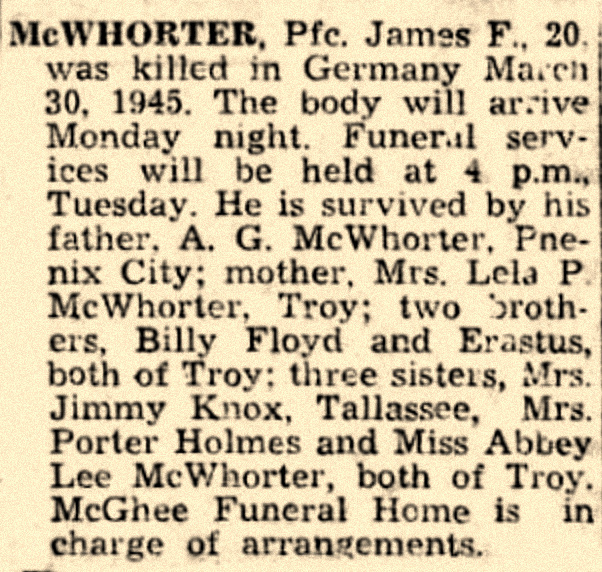 Son of Mr A. G. McWHORTER (Phenix City) and Mrs Lelia P McWHORTER (Troy, Pike County, Alabama), James F McWHORTER was born on December 05, 1924 in Alabama. He lived in Russell County when he was enlisted on June 22, 1943 at Fort McClellan, Alabama. He received ASN 34810131. 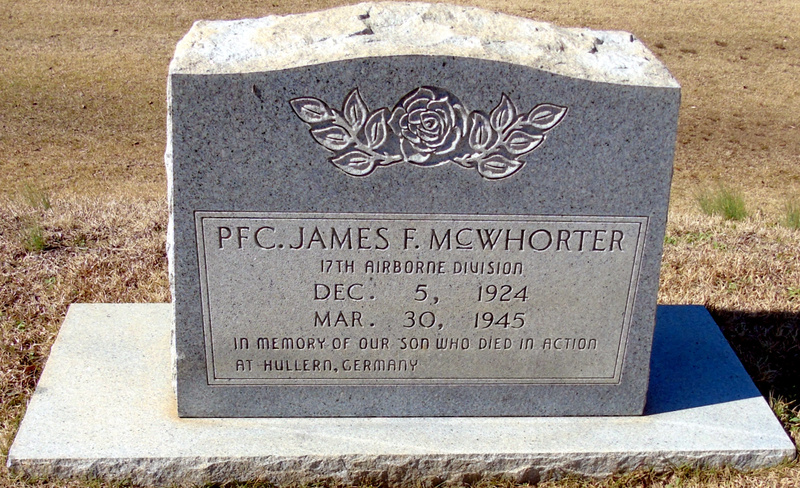 Private First Class McWHORTER was probably rapidly volunteer for the new Airborne Corps and was sent to Camp McKall, North Carolina for basic training and may be assigned to 466th Parachute Field Artillery Battalion attached at the new 17th Airborne Division on March 10, 1944. I have found his pic in a scrapbook belonging to a 466th PFAB member but the gentleman is listed as member of the Reconnaissance Platoon in the 1947 Don Pay's roster. James McWHORTER fought in the Bulge and jumped over Germany on March 24, 1945. 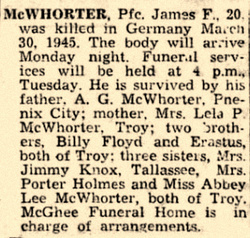 He was killed in action six days later, on March 30, 1945 during the battle for Munster. His body was rapatrieted after the war and is now permanently buried at Oakwood Cemetery, Troy, Pike County, Alabama. George S MEYER was born on April 16, 1922. 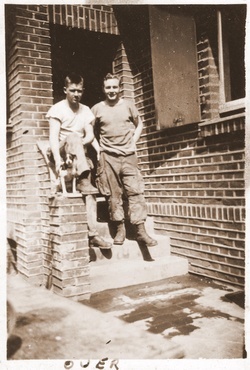 He lived in Lynbrook, NY when he was inducted in Army on November 13, 1942 at the age of 20 yr-old. He entered in service in New York on November 20, 1942 (ASN 32628914) and was volunteer for the new Airborne troops. He attended jump school (probably at Fort Benning) and joined A Battery of 466th Parachute Field Artillery Battalion at Camp MacKall, NC. At this time, the 466th PFAB was under the command of Airborne Command. On 10 March, 1944 the unit was relieved from Airborne Command and assigned to the 17th Airborne Division. 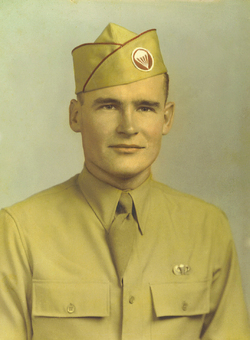 George made all the war in the 17th Airborne Division and was transferred to the 101st Airborne Division after VE Day. He was finally discharged on January 5, 1946 at Fort Dix, NJ. 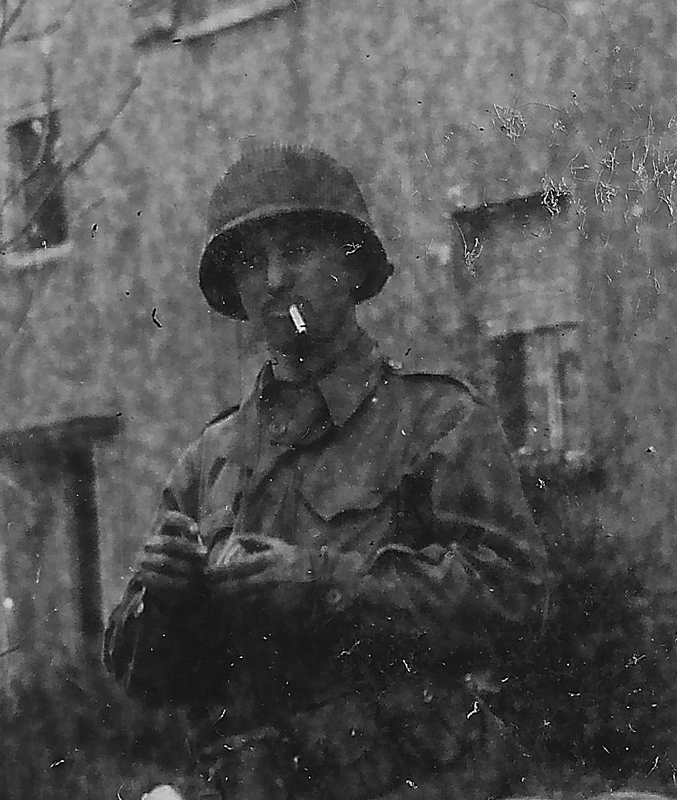 George in Austria 1945 while he served with the 101st Airborne Division (unpublished photo with courtesy of Michael Myer). 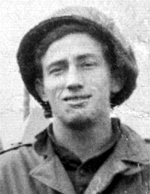 During the military service, he was awarded American Service Medal, Good Conduct medal, European African Middle Eastern Service medal with 3 Battle Stars (for Ardennes, central Europe and Rhineland campaign (by GO 33 WD 45)) and World War II Victory Medal. Victor E OLSON Jr was born on January 22 , 1922 at Assaria, Kansas. He joined the Air National Guard in Salina, Kansas on December 23, 1940 and passed under control of the United States Army on December 1941. 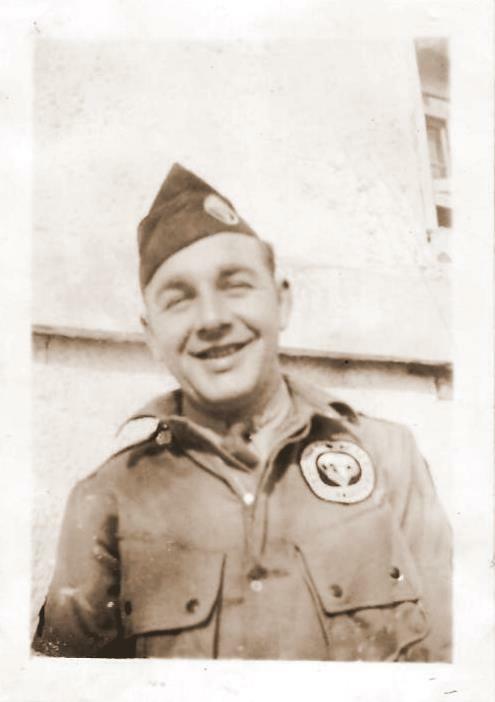 He received ASN 20734484 and entered the 161st FAB of the 35th Infantry Division. Later, he was volunteer for the new Airborne troops and attended jump school at Fort Benning in 1943. 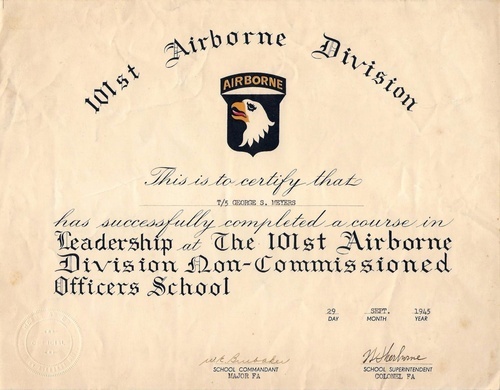 After having completed his paratrooper course he was assigned to the 466th Parachute Field Artillery Battalion at Camp MacKall, NC. At this time, the 466th PFAB was under the command of Airborne Command. On 10 March, 1944 the unit was relieved from Airborne Command and assigned to the 17th Airborne Division. Victor made all the war in the 17th Airborne Division and was transferred to the 101st Airborne Division after VE Day. He was discharged from the Army on November 1945. Victor passed away on February 1980. This tribute has been realized with the kindness of his daughter Lisa.